My old roommate and climbing partner from years ago, Braden. 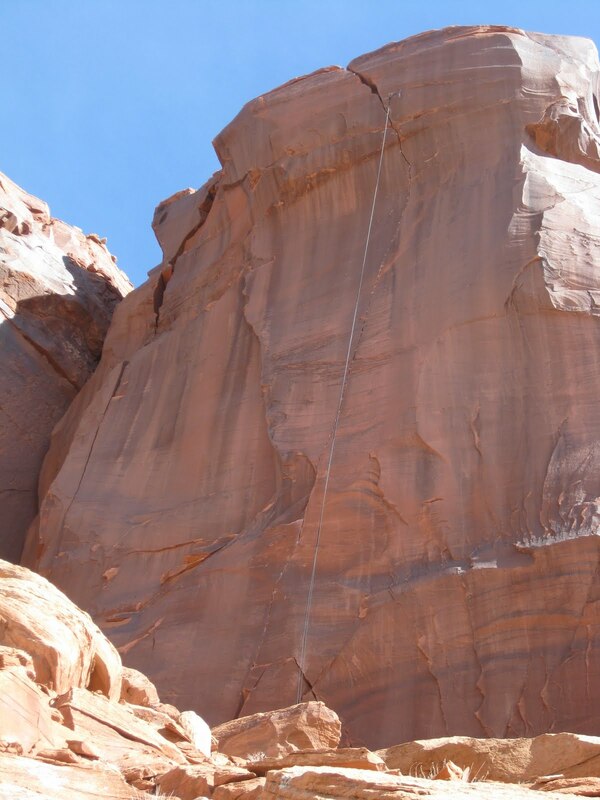 He is just finished carving out the new route plack for a .75 inch splitter that we established while at the North Wash (south of Hanksville, Utah) next to the old route No Way Jose 5.13. 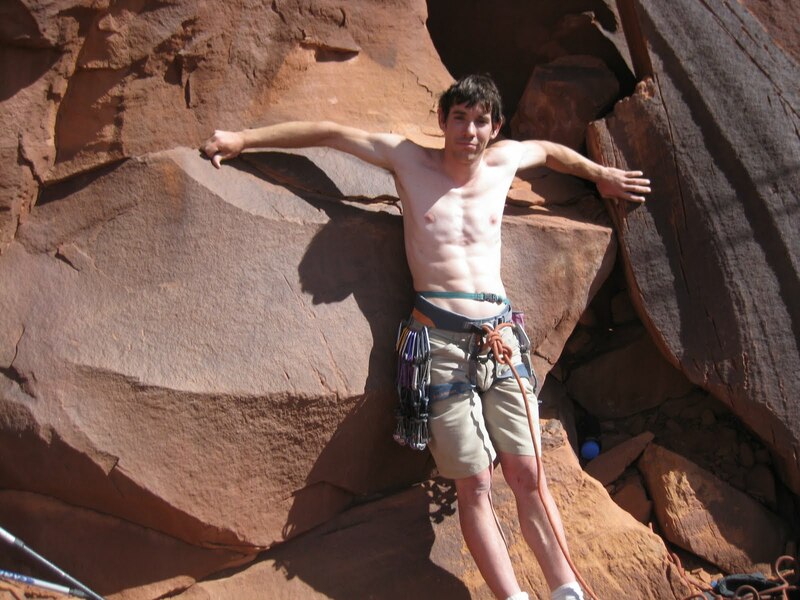 The crack master in all his glory, Alex Honnold. 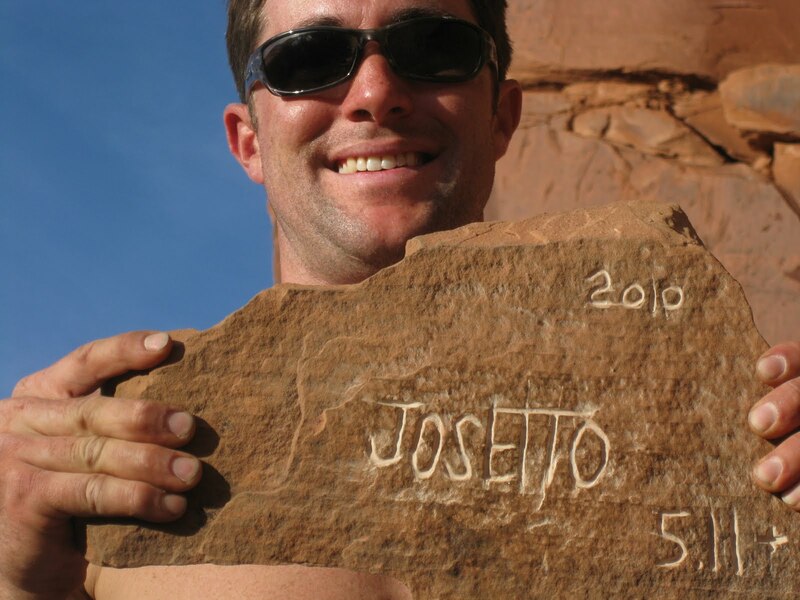 He onsighted No Way Jose and Trail of Tears(he linked the two pitch route into one giant) while with us this weekend. Both 5.13 desert splitters and both in the finest fashion. The .5 inch No Way Jose, just slightly overhanging at the top. a wonderful desert splitter. Congrats to the folks who found this gem. Hiking back to the road from some off width climbing on the west side of the road. 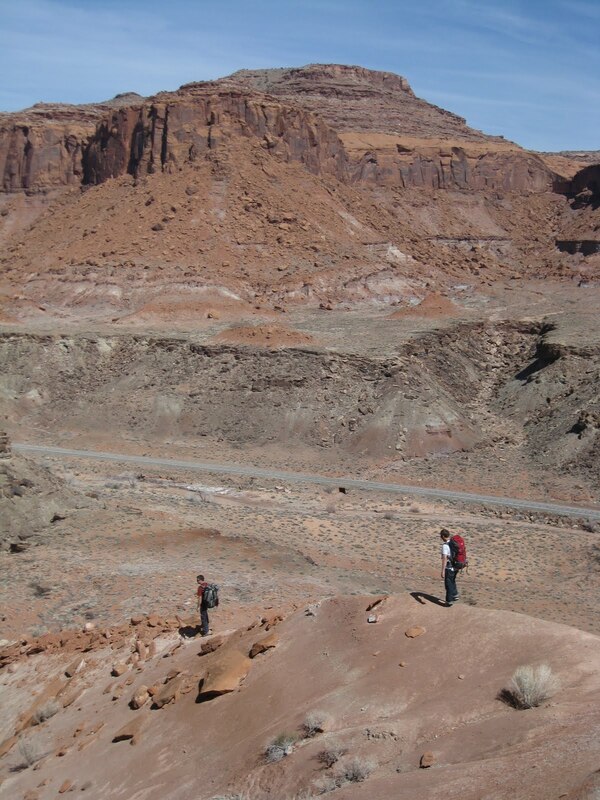 We found lots of petrified wood and some dinosaur bones/teeth in the area. What a beautiful and easy to access place. Alex’s fans! We were scouting climbs with the spotting scope on the side of the road when some folks stopped to ask us if it was really THE ALEX HONNOLD? Alas it was and they had their photos taken with the crack master. Sounds like you took your nice photo of Alex Honnold. Would you consider contributing it to Wikipedia as limited-use, all rights retained (their site only) license? Could put a copyright in the image with your name, so people could look you up.